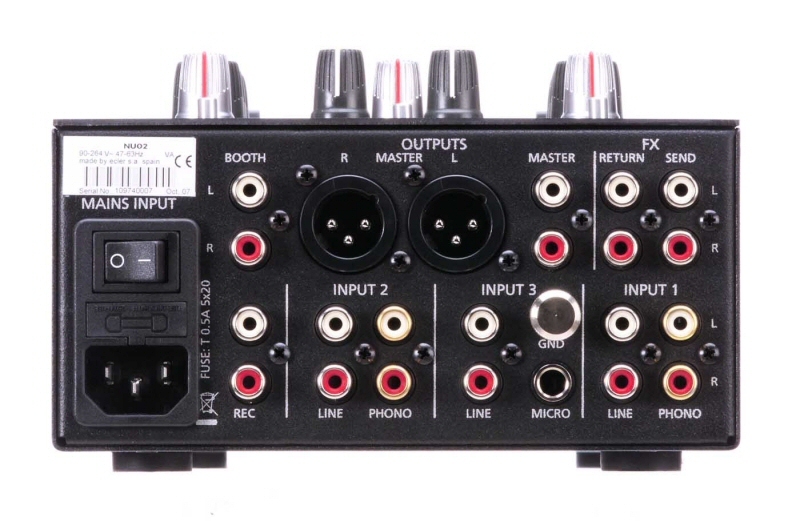 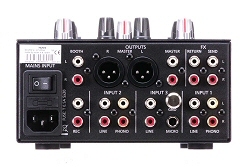 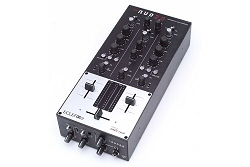 The Ecler NUO 2.0 is a 2 channel analogue mixer addressed to the professional DJ of any kind, in despite of the music style. 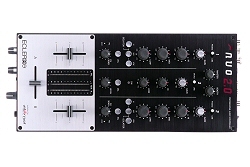 It features the professional characteristics that made its predecessors acclaimed worldwide, and it equips the best analogue components available in the market place in order to obtain the highest sound performance. 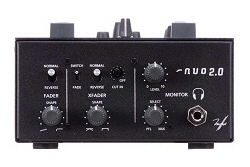 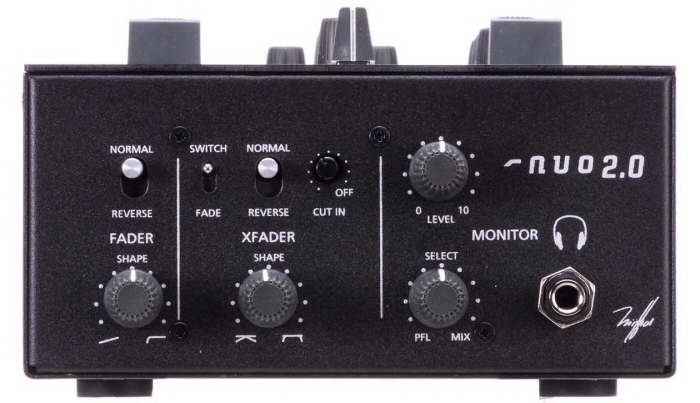 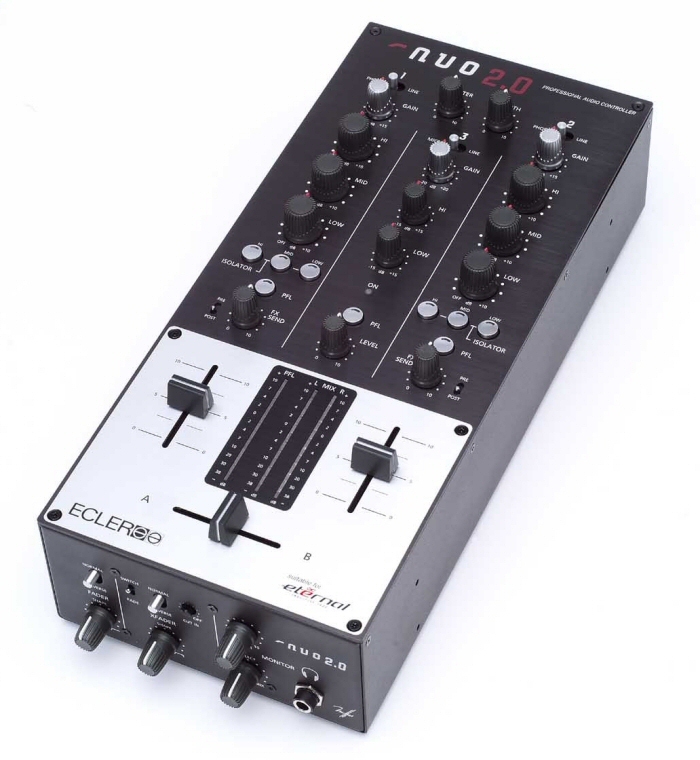 Whether you play house, techno or hip hop, perform smoothly or as a scratch DJ, the Ecler NUO 2.0 will please all your needs thanks to its versatility and plenty of features, such as the precise and ergonomic full cut EQ, FX Send control per channel in pre or post fader mode, faders curve adjustments and suitability for the awarded magnetic ETERNAL crossfader for the professional scratch DJ.